Magnolia is in the middle of it all! Conveniently located within a day's drive from Little Rock, Dallas, Memphis, New Orleans, Shreveport, St. Louis and Tulsa, our location is great for gaining access to major metropolitan cities. Located at the junction of U.S. Highways 79, 82, 371, Magnolia is well served. Due to the ease of travel, we have access to the area's amenities, including the arts, sporting events, entertainment, dining, shopping and the Magnolia Regional Medical Center. The children of the Magnolia, AR region are assured a quality education. Located in the outstanding Magnolia Public School District, we are home to several exemplary Elementary, Primary and High Schools. Columbia Christian School also located in Magnolia and is a private school option. Our residents can further their quality educational path at Southern Arkansas University located in the heart of Magnolia. Offering over 80 different accidemic options and numerous technical certifications, the University is sure to provide the education that is desired. Since the City's incorporation in 1855, Magnolia has been the home to many amenities that contribute to the high quality of life our residents enjoy. Nestled among tall pine trees in the south central area of Arkansas, the City of Magnolia is the county seat of Columbia County. We continually strive to update City common areas, entrances, sidewalks, and parks to beautify Magnolia and maintain the charming and historic atmosphere that so many call home. We are proud of our community and work hard to protect the quality of life that makes the City of Magnolia so great. Many of us grew up here and have stayed to raise our own children because this is more than just a town. It is a place to belong ... your place for life. The Magnolia School District is located in rural, southwest Arkansas. 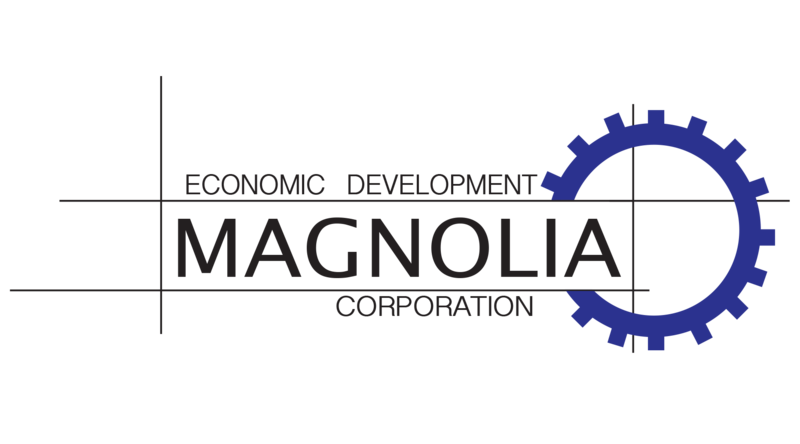 Magnolia is a city of approximately 11,000 residents and the district encompasses 387 square miles with approximately 17,000 residents. The student population is just over 2,700 in grades kindergarten through twelfth with an additional 120 pre-kindergarten students. The district is staffed by 236 certified teachers and administrators. The Magnolia School District has high expectations for students and offers a comprehensive rigorous academic program with necessary interventions, support systems, and state-of-the-art technology so that all students can be successful. While the focus of the district’s vision and mission revolves around academic achievement and success, the district recognizes the need for a broad educational experience which includes vocal and instrumental music, visual arts, physical education, library media, instructional technology, health, and foreign language. Students also have opportunities to take technology courses, such as EAST, Cisco, and IT Essentials. These courses prepare students for careers in technology. Rigorous coursework is available to all students in a variety of curricular areas. Magnolia High School has been selected by the Arkansas Advanced Initiative for Math and Science, Inc. (AAIMS) to participate in a grant funded by the National Math and Science Initiative. The purpose of the grant is to train teachers of Advanced Placement (AP) courses in the content areas of mathematics, science and English and, also establish an incentive program for teachers and students. Beginning with the 2009-2010 academic year, the goal of AAIMS and the Magnolia High School was to increase the number of students enrolling in Advanced Placement courses, particularly students from underrepresented populations, into AP classes and increase the number of qualifying scores earned on AP Exams. Research indicates that students completing an Advanced Placement course(s) are better prepared for college and are more likely to graduate with a degree. Magnolia School District is one of 539 schools districts across 44 of the 50 states in the U.S. and Canada honored by the College Board with placement on the 3rd Annual AP District Honor Roll. The award is for simultaneously increasing access to Advanced Placement course work while increasing the percentage of students earning scores of 3 or higher on AP Exams.All students are encouraged to complete the Arkansas Smart Core Curriculum. Only students whose parents waive the student’s rights to the Smart Core Curriculum are allowed to graduate with the Core curriculum. Southern Arkansas University has recorded its fourth straight year of record-setting enrollment as of the 2016 fall semester. Southern Arkansas University offers more than 80 academic programs in the Colleges of Science & Engineering, Business, Education, Liberal & Performing Arts, Graduate Studies and Honors. Over the past few years, SAU has established several new and distinctive programs that are proving popular in the state and region. SAU Engineering, which launched fall 2013, already has an enrollment this fall (2016) of around 200 students. SAU’s Game Development and Animation Design programs have attracted more than 100 students to Magnolia. Marine Biology is also growing with more than 20 declared majors. Programs launched in 2016 are already garnering attention and include Cybersecurity, Social Entrepreneurship, Welding Engineering Technology and Engineering Technology. The City of Magnolia in Columbia County, Arkansas is home to numerous healthcare, rehabilitative, and ambulatory facilities. Located in the heart of Magnolia, the Southern Medical Group is the largest multi-specialty group in Southern Arkansas. It houses five full-time providers with over 50 years of combined experience in delivering the best and most up-to-date medical care possible. In addition, numerous dental, pharmaceutical, and medical specialty clinics are also located in Columbia County and provide unmatched care for their residents. The Magnolia, AR region boasts some of the most beautiful and versatile park areas in the state of Arkansas. There are also several smaller parks in Magnolia that provide safe, fun areas for residents and visitors to enjoy. Whether you are an art lover, a sportsman, or you just want to spend time with family, the combined resources of Southern Arkansas University, Magnolia Arts, the South Arkansas Symphony, dance academies, local service organizations, music studios, and cutting-edge art galleries offer our citizens a variety of entertainment opportunities.